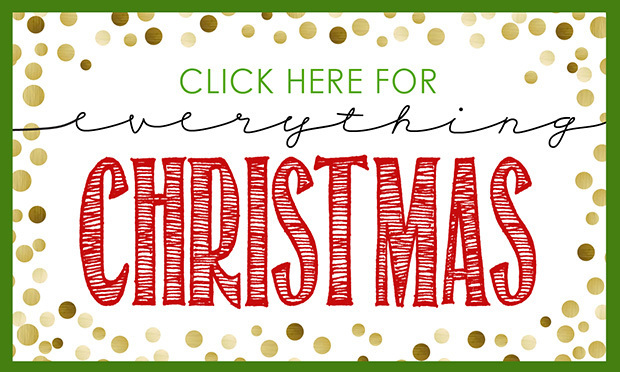 I am so excited that almost all of my Christmas decorations are up and it’s just December 1st! We are going on Friday to cut down our Christmas tree, so I will be sure to share more pictures once we have decked ALL of our halls. 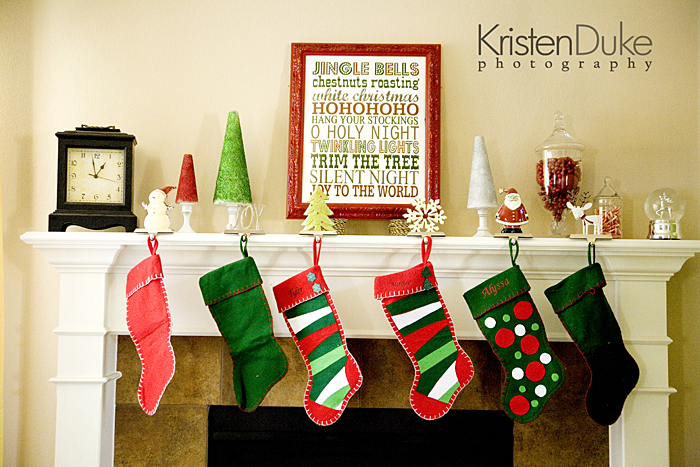 Here is just a snippet of our mantle. Being in a new home, I’ve had to figure out where to put everything. Luckily, my sis in law Alayna helped me quite a bit last weekend. 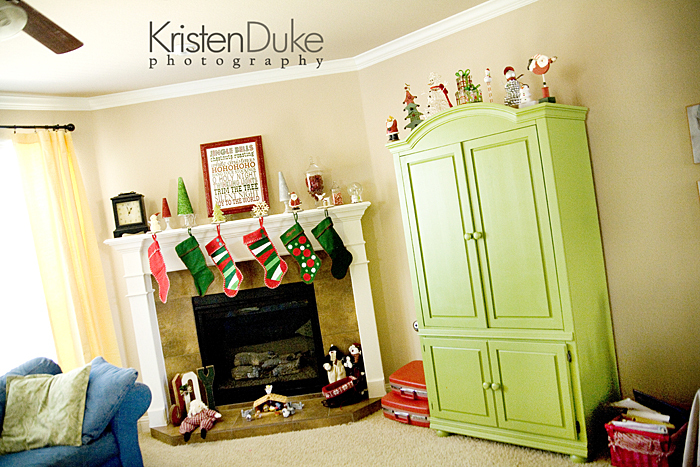 I don’t decorate with red at all, so it was fun to throw it in there with my green armoire. I spray painted a frame (that was a dull gold I never liked) for the subway art. 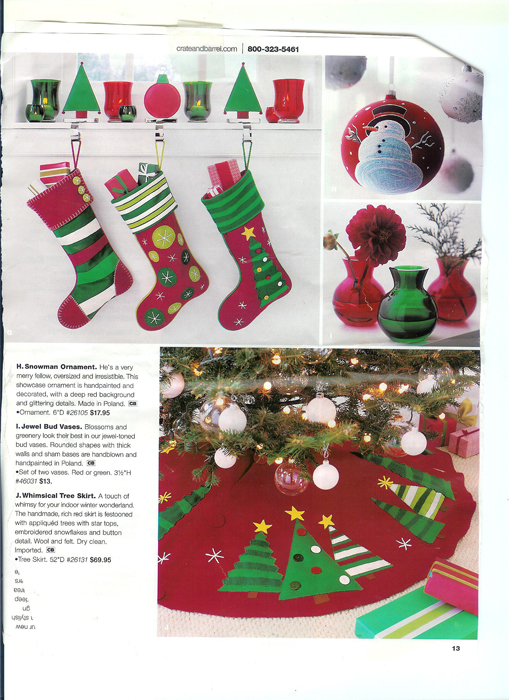 I got the design free from eighteen25 along with the tutorial for the 3 glitter trees I made. They originally had turquoise in the color scheme (which I LOVED) but I am traditional Christmas colors over here. I changed to grey (trying to do silver) and diff. shade of green in photoshop. I love the statement of the red frame. I like bold. I also needed a little lift to my leaning frame to cover up the plugs on the wall above the matle, so put them on top of spools of ribbon, which add a nice texture underneath. Red suitcases I placed there just b/c they are red and I’ve never used them…the red basket is filled with Christmas books. Kids Little People nativity on hearth, with a few snowmen and JOY next to it. LOTS of “joy” decor in this house.